DSTV Now is a platform created by Multichoice for subscribers, so they won’t miss their favorite TV shows and channels when they are out and about. You can easily watch your favorite channels with your smartphone, tablet, laptop or desktop anywhere you are. 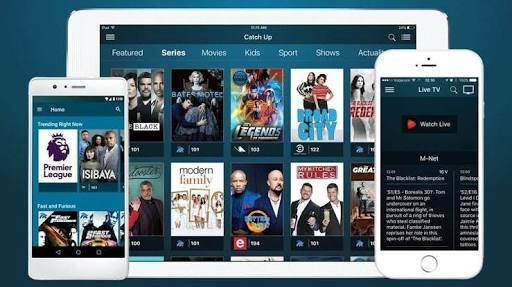 It’s more like the upgraded version of the DSTV Mobile app which uses the DVB-H technology to show you selected TV channels on selected devices. The DSTV Now allows you to stream/watch live shows and channels as they are being aired. That’s not all; you can rewatch TV shows over and over again or watch the ones you’ve missed. As long as you have access to the internet and a browser, DSTV Now will work for you. 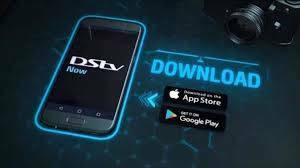 Unlike the DSTV Mobile app, the new DSTV Now doesn’t need any additional subscription before you stream live channels. As long as you have an active qualified subscription and a 3G internet connection, that’s all. Getting access to the DSTV Now is simply easy and straightforward, just make sure you have everything below. ・A supported Browser or DSTV Now App for Android or iOS. You can download the app to access the service from anywhere with your smartphone easily. ・Download for Android Click Here. ・Download for iOS Click Here. If you don’t want to download the apps, you can easily stream/watch your favorite shows with a browser. However, you should keep in mind that you can only watch TV shows on up to four devices only. Out of that four devices, only two can be active simultaneously at a time. This was done to curb the number of people watching with your Connect ID. ・Visit now.dstv.com with the supported browser or open the App on your Android or iOS devices. ・Login with your DSTV Connect ID or create a DSTV Connect ID if you haven’t used the service before. ・Once you are in, just search for the TV show you want to watch. ・Go to the Live TV section and see programmes airing now on DSTV. If you’ve missed your favorite TV show while reading this article, you can use the “Catch Up” option to watch them all. There’s also a “TV Guide” option to see upcoming shows, and you can set reminders on shows you may want to watch as well. You can download your favorite show and watch it later by clicking or tapping on it. Those using the following devices below shouldn’t have any problem streaming their favorite TV shows. Saving data on DSTV now is pretty easy since it involves streaming live shows in high definition. You can change the video quality and stream in low quality to save data. However, that shouldn’t be a problem if you are using an unlimited data plan. But if you’re not on an unlimited data plan, then you need to reduce the video quality. See below. ・Choose your preferred video quality (Highest, High, Medium, Low). To minimize how you long you watch from the App, there’s an option for restricting viewing only on Wi-Fi networks. This will save you a lot of data, and you have to go to settings to change it back to use Mobile data. It also comes with an option that lets you set the time to stop streaming. The default time is 2 hours, and you can either decrease, increase or cancel it entirely. Although this might be helpful if you mistakenly doze-off while streaming. DO YOU KNOW Ten things to know about Airtel’s Unlimited data plan? To set an automatic timer for your shows to stop, just follow the steps below. Unfortunately, you can’t access DSTV from all over the world yet. You have to be in a country where DSTV Pay TV satellite services are available. Below are the countries you can watch DSTV Now from. This is ideal when you go to a hotel, and you want to watch your favorite TV channels. Yes, DSTV Now supports Screen mirroring technologies with Apple AirPlay and Google Chromecast. If you love watching your favorite TV shows on big screens, then you can attain that with screen mirroring. Enjoy your favorite TV shows on bigger screens like your laptop, desktop or TV. ・You can use Apple Airplay to connect your iPhone or iPad screen to your Apple TV or Mac computer. Both devices need to be connected to the same Wi-Fi hotspot. ・You can use Google Chromecast to connect your Android and iOS devices to a TV. As long as they are both connected to the same Wi-Fi hotspot. Visit now.dstv.com on your browser or open the DSTV Now App on your Android or iOS devices. This is everything you need to know about the DSTV Now service. It comes with an 8-days worth of TV programming Guide. With the TV Guide, you won’t get to miss your favorite shows. Let us know about your experience in the comment section below. DSTV Now is a platform created by Multichoice for subscribers, so they won't miss their favorite TV shows and channels when they are out and about. You can easily watch your favorite channels with your smartphone, tablet, laptop or desktop anywhere you are. Hi, Is it possible to use DSTV NOW in South Africa with my Namibian Smart Card number (Namibian DSTV Account)? Although I live in Namibia, I amboften in South Africa for work. I would love to be able to continue watching DSTV but without having to open a 2nd DSTV account.